Many times I am asked what is my favorite thing to cook. As a chef there are too many to count. It depends on the season, where I am (Italy or Colorado), who I am with (friends & family)the weather and what ingredients I have in my kitchen. But what I will say is that I have a great love for pasta. I wish I could tell you that there is one magic pasta recipe that will make every type of pasta known to man. That is not the case, there are many. Eventually I will share all of mine with you. But to get started here is a basic pasta dough recipe. Mix together the flour and salt in the bowl of a stand mixer, or mix them up and create a mound on the counter top with a well in the center. If using a stand mixer, add the eggs and olive oil to the flour and mix them together with the paddle or dough hook until well mixed. If the dough seems dry add 1 tablespoon of water as needed. 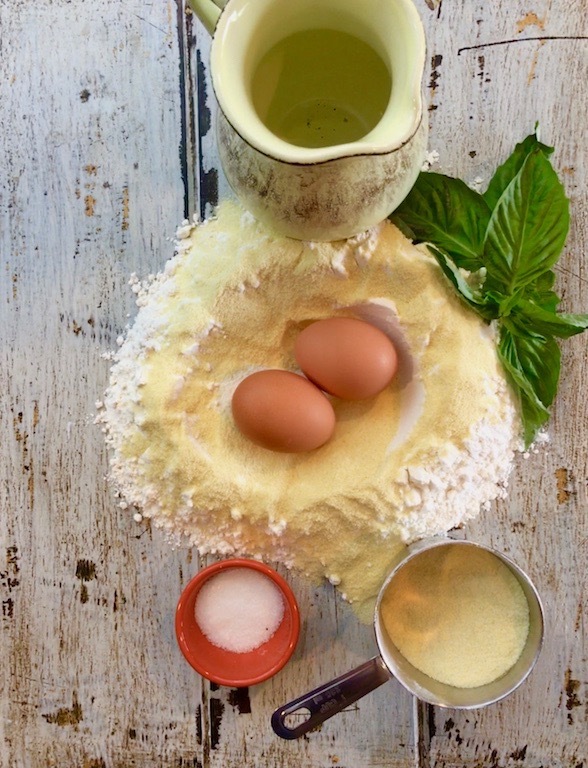 On the counter top, crack the eggs into the center of the flour and add the olive oil. Using a fork to gradually draw the dry ingredients into the center, mixing them with the eggs. 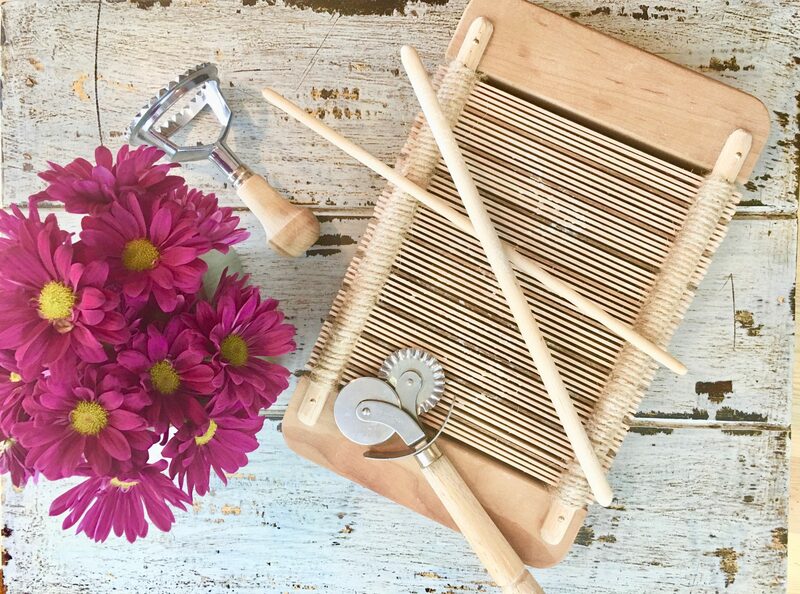 The dough will be hard to mix at first – a pastry scraper will help you draw it all together – but eventually it will come together and be pretty smooth. Add 1 tablespoon of water at a time if needed. Knead the dough with the heel of your hand for at least three minutes until the dough is very smooth. The dough should not feel sticky. If it sticks to your fingers, knead in a small amount of flour, just enough so your fingers come away clean when you pull them away. Wrap the dough and let it sit at room temperature for 15 to 30 minutes. Basic pasta dough can be used for spaghetti, fettuccine, ravioli, lasagna.